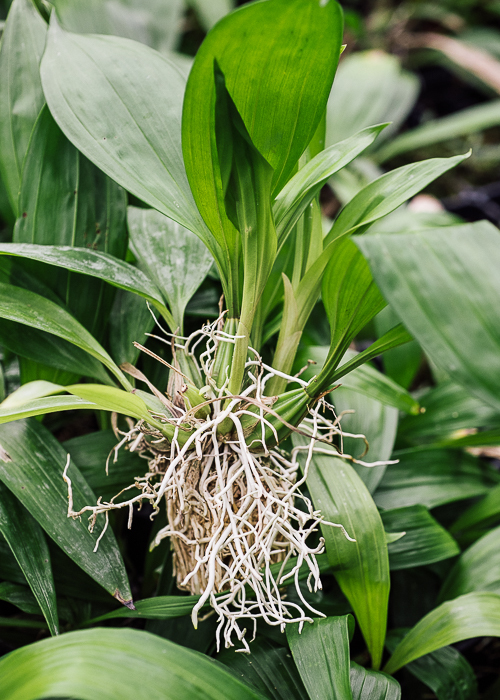 We've produced a bumper crop of Coryanthes seedlings that are now reaching flowering size. Coryanthes, with their provocative morphology and intense fragrances are simply the best teaching tool ever for introducing students (or anyone!) to orchid pollination concepts, and Euglossine bee pollination in particular. But, since the flowers only last about three days, a large number of plants are needed for a continuous display. 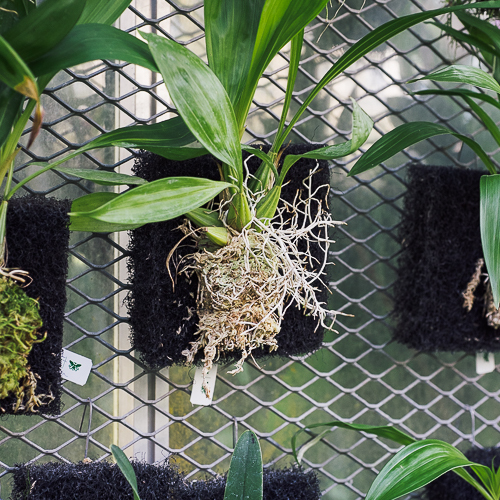 We are very fortunate to have a mircro prop lab to allow us to produce orchid seedlings. Coryanthes are somewhat weedy in the sense that they reproduce rapidly. They have a very short capsule maturation (60 days), produce copious quantities of seed and robust, fast growing, fast flowering seedlings. 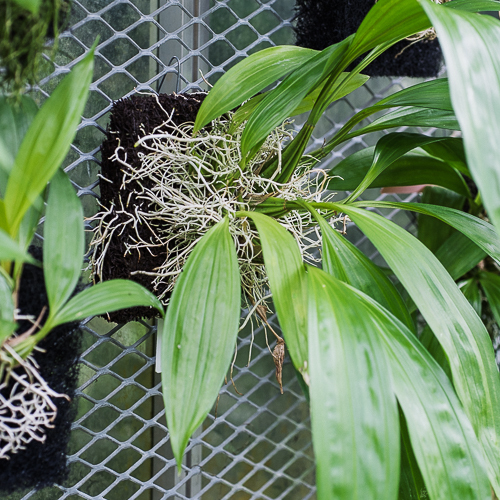 After they outgrow the plug stage, our Coryanthes seedlings grow best on vertical mount, rather than in a pot or basket. Tree fern slabs have worked well for us, but last year, in an attempt to wean ourselves from our tree fern dependency, we tried a new slab material: coarse filter media, borrowed from our aquarium colleagues. 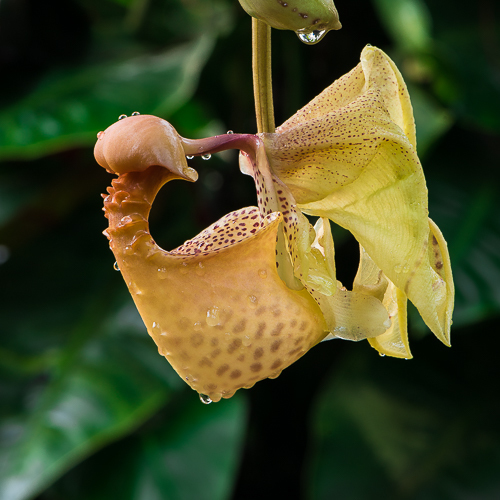 Filter media isn't a good choice for every orchid, but the Coryanthes love it. Within a couple of months, their roots completely fill the interior spaces of the slab. We are super excited to have more of these fascinating orchids on display for you to see. Look for them this year in the Orchid Display House!